World War I was a global war centred in Europe that began on 28 July 1914 and lasted until 11 November 1918. It involved all of the great powers of the world, as at that time, which were grouped into two opposing alliances: The Allies, based on the Triple Entente of the United Kingdom and the British Empire, France and Russia on the one hand and the Central Powers, originally the Triple Alliance of Germany, Austria, Hungary and Italy. But, as Austria and Hungary had taken the offensive against the agreement, Italy did not enter into the war. Alliances later reorganised, Italy supported the Allies and more countries entered the war. The United States of America entering the war on the Allies side in 1917 was a decisive factor. Ultimately more than 70 million military personnel were mobilised in the First World War. More than nine million combatants were killed. It was the sixth deadliest conflict in world history. The conflict opened with the Austro Hungarian invasion of Serbia on 28 July 1914, it ended with the cease fire on 28 November 1918, known as Armistice Day. Arrangements are being made in the countries which were affected by the conflict to commemorate the centenary of the beginning of the war, in 2014. Most of these, plan to recognise and celebrate the bravery and sacrifice of the nine million young soldiers who lost their lives in the war. Sri Lanka or Ceylon, as we were known then, played a role in the First Word War. 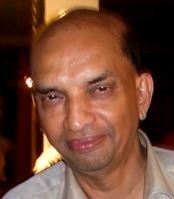 Sergei De Silva Ranasinghe, a researcher in Sri Lanka’s military history, strategic and defence studies, wrote a series of articles for The Sunday Times in 2004 on this subject. He writes that, unlike most other colonies of the Empire, close to 50% of Ceylon’s volunteers to the Great War were commissioned as officers. Most of them tended to have previous affiliation to the Ceylon Cadet Battalion, military experience in the British Army, or were associated with a Ceylon Defence Force Formation. 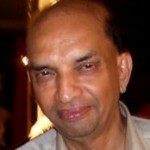 Ranasinghe provides a table in which he gives the breakdown of 330 of the volunteers by four English medium schools at which they studied – Royal College 88, S. Thomas’ College, 86, Kingswood College 84, and Trinity College 72. The Times of Ceylon in 1917 estimated that of the 1,250 total number of Ceylon volunteers, the newspaper knew of at that time, there were 105 fatalities, 84 killed in action, 21 died of wounds. 114 were wounded, and 18 were categorised as either missing or Prisoners of War. Of the 330 from the English medium schools 30% were casualties. Some detail is available on four of the students of Trinity College Kandy who volunteered. They were Richard Aluwihare, Albert Halangoda, Frank Drieberg, and Ajit (Jik) Rudra. On 20 June 1994, a Thanksgiving Service was held at the Chapel of Trinity College Kandy for the life and work of Major General Ajit .A. (Jik) Rudra, Indian Army (Retd.) who had passed away on 3 November 1993. At the service, tributes were paid to General Rudra by the Principal of Trinity College, Capt. L.M. de Alwis, His Excellency the High Commissioner for India Shri Nareshwar Dayal, and the then President of the Trinity College Old Boys Association Lakshman Kadirgamar. I give below some excerpts from their speeches. “In that year Aluwihare had been Senior Prefect, and had won the Cricket Lion and the Ryde Gold medal for the Best All Round Student. Halangoda had won a Rugger Lion. …A few months later came the news that Frank Drieberg had been killed in the Somme battle, he was only 19, and that Aluwihare and Halangoda had been severely wounded… Rudra had got safely through the battle of the Somme but was severely wounded later at Ypres. …The First World War is considered to be one of the most savage episodes in the annals of war… The scale and detail of the slaughter at Flanders, Passchendale, the Somme, Ypres as recorded by those who lived through those momentous battles, still leaves the sensitive reader numb with shock. Thousands of young men were felled in a single afternoon. The mind reels at the horror of the trenches – the mud, the filth, the stench in which men lived for months without relief. The then Principal of Trinity College Captain Leonard de Alwis, speaking at the Thanksgiving Service said: “Today we are gathered in this Chapel to thank God for the life and work of Major General Ajit Rudra who passed away on 3 November 1993, at the age of 98. I make this humble tribute to a distinguished old boy of Trinity… Young Rudra… was influenced by the great ideals of Trinity, where the College turned out well-disciplined men, an example to the rest of the schools. I will quote, from the book General ‘Jik’ Rudra’s description of his first day in battle in World War I: “The seven day bombardment stopped sometime during the night… we were made to line up along the parapet of the trench. The great battle of the Somme was about to begin – a pipedream victory of the Generals and their staffs fighting the battle at one remove from the front… We saw our officers leap up and unsheathe their swords, shouting, ‘Come on chaps. Let’s go and get at ‘em… I felt a thrill at this old fashioned ritual, it did not last long. As soon as we scrambled up and began our charge we began to be mowed down by enemy machine gun fire. I saw officers fall while still brandishing their swords. “On our right I saw an extraordinary sight, a Highland Regiment going into the attack. I could make out through the dust haze succeeding lines of burly Scots, advancing in their kilts and plaids, line after line, their pipers playing them on. It was like a parade ground drill: line followed line as the men kept falling. They marched resolutely to their deaths, in drill formation. Only one NCO and 11 men of the Scottish Battalion survived. Crawling forward into a crater I suddenly caught sight of Aluwihare lying wounded. His arm had been wounded, but not too badly. I helped him to put on his field dressing and then advised him to crawl back to our trenches: but he refused, he said he could not leave me there and go back to safety. I was still trying to talk him into going back when suddenly a shell landed close to our crater. We were all lifted up and flung a few feet away. “Glancing around I saw Aluwihare lying in the open… his uniform covered with blood… Helped by a survivor in my section I pulled him into the crater and removed his equipment and tunic. There were two or three dead soldiers lying in the crater. We took their field dressings and patched up Aluwihare. We lay in the crater the rest of the day. Darkness came slowly… we ventured to crawl out of our crater, dragging Aluwihare with us as gently as we could. We encountered a line of our own Military Policemen lying in position behind the trenches. Their job was to prevent anyone from coming back – and to shoot them down, if they persisted. We had a wounded man with us and since our machine gun was clearly unusable, we were allowed to return. 2014 will be the centenary of the great sacrifice made by a whole generation of young people for our enduring freedom. Nine million young men gave up their lives. Albert Marshall, the last surviving Cavalryman of the First World War, who died on 16 May 2005, described what he never could forget: “Going into no man’s land a few hours after another abortive infantry advance, following an officer with a white flag, to bury the dead. There were hundreds of them: all but a handful had been killed immediately. The mud was too compacted to dig down far. As his unit marched back, he trod under his boots the corpses of the men with whom, that morning, he had eaten breakfast. It will help all right thinking Sri Lankans, to focus our minds on Churchill’s prophetic words, if some commemoration event is organised to honour the sacrifice of the young ‘Ceylonese’ who fought in the Great War, 100 years ago. Also the sacrifice by all young enlisted men, before and since, including in Sri Lanka’s past few years. Maybe the lead can be taken by the four Colleges, Trinity, Royal, S. Thomas’, and Kingswood, which sent volunteer school boys into the holocaust. The successor to the Ceylon Defence Force, the Sri Lanka Army, and the successor to the Ceylon Cadet Battalion, the National Cadet Corps, since all four Colleges had and have Cadet Platoons, could also contribute. It is a real need of the hour. Political leaders must be guided by ordinary people, who end up making the supreme sacrifice as enlisted men, while the politicians survive, ‘perched on their pinnacles of triumph,’ as Churchill said. World War ! was the First Imperialist War. Picot- Sykes Plan divided the Between the Imperialists, as well as Africa and aasia. WW2 Was the second Imperialist war. You are right he is trying to steal a piece of cake in another mans war called world war. celebrations are a way of making money or spending and as it is there are enough of fathers day mothers day zeros day etc. The Nepali Gurkha went through decades of hell to get a decent pay and pension and right of abode like the others. Did those Ceylonese match that degree of bravery?? The ‘world wars’ so called were none other than wars waged among imperialist powers . It was never conceived as our war though through force of circumstances some of us may have participated. If any Sri Lankan is to embrace the ‘prophetic words of Churchhil’ the most rabid imperialist and racist, he/she has to be a raving lunatic other than a ‘right thinking Sri Lankan’. Why are you embracing Palestine and why did Sirimavo embrace the postmans son coup master Nassar?? Why are the stupid Lankians skipping “Balfour Declaration 2 November 1917”?? Sihala Demala Higana Sihala Boru!! It is ironic that we still ‘celebrate’ the WW1 from a century ago, but some are appalled that we celebrate our victory over the LTTE terrorists just 5 years ago. While in Europe the Germans are very much part of the commemoration events! The victors as well as the vanquished together remember the horrors of war and the dead. You are expecting too much from Ramu the Sinhala speaking Demela? He believes that a dead Tamil is a good Tamil at the same he also believe there was zero casualty over the past 30 years. The attempt by the ‘Native Vedda’ is to provoke me is unrelenting. He/She/It claims to read my mind. I challenge the ‘Vedda’ to expose where I have written those words, either in the CT or elsewhere. No one is interested in provoking you. You on your own rage 24/7/52. Hitler died a hero so there is nothing to commemorate. Germans are the driving force of the EU. Europe of today is very different from that a century ago. No European public event would be complete without German participation. Germany over the last 60 years has by it’s own effort become the industrial powerhouse of Europe and has assumed leadership in Europe without firing a shot. It has united Europe in a way it failed using the gun. You are right to an extent We had VE day, the 8th of May, to celebrate the Victory over Germany (WW2), a public holiday even in the Commonwealth till recently. Why people in Sri Lanka were/are so enamoured of the colonial power that they were prepared to fight for it’s glory is beyond the pale, but then again, Sri Lanka was betrayed to the British by some of the King’s own ministers. Have you heard of the marshall plan?? Whose money was used to develop Germany UK and Japan?? 85% of Us administration is Jewish. Go hug the pigs back Palestine and the terrorist Nasser who like the rest of the muslims have never kept a treaty. Even today where has IS got the american arms?? Like at Mali they say the iraq army left and ran. If only 3 billion people are bombed the world would be a better place according to a Gulf war 1 veteran. Take care developing nations some things are on the cards because the west is fed up of “terrorist and sovereignty” from former subjects who were allowed to govern themselves. What makes you think that LTTE were terrorists. In our eyes they were FREEDOM fighters whereas your boss MR is a State Terrorist and that is why he was barred from attending the Commonwealth games. Terrorists are not allowed to attend public events as they will pose a danger to the spectators. No war is great but an unwarrantd, unfortunate enterprise and disgrace to human civilization. Like LTTE / JVP suppression by the Government in power, these may have been necessary to avoid further bloodshed. Nevertheless the victory do call for reflection, not celebration. Have you forgotten your English that was taught to you by your former colonial masters? What a shame. Is that why you are writing comments in Sinhala? I appreciate your patriotism. It wasn’t Banda writing. It was ela kolla the SLAVE trying get a racist message across in disguise. The Editor has spotted him quickly. BY the way I hope you have stopped counting down as MR the PERVERT has apologised and has asked for forgiveness. But to cleanse all his sins I want you to say the following three times a day in front of “Kali Ammal” ( who even the Sinhalese revere) on his behalf. ” om saravana bhavaya sivaga om saravana bhavaya sivaga thanno ladchmi prasothaya”. You need to have your eyes checked by a surgeon who might be able to surgically restore your vision. Failing please see a brain surgeon. Countdown: 9 days to go. You senile man who is your Surgeon. A animal doctor from the University of Hambanthotta. Get your animal doctor to Prescribe some tranquiliser to the State Terrorist your boss. Countdown: 8 days to go. We are into the Bionic age from 2005. All it needs is a chip inserted in the brain. BTW you are dealing with chakka number 9. Social being give him a chance until September when Chaddi walla meets Obama for his cavity check. Putin is going to put pressure on India to discard US and EU goods like he has done today with Belarus and Kazahkstan. or he may ask them, to shut down the indian business centre moscow and no more ruble payment. Any idiot will understand the Putin’s pressure will not work by considering the Bilateral trade between USA and Europe combined and India. At the moment it is Russians who needs more alliances to shoot Passenger Planes! You sound like skunk in a spin dryer with assmosis. Kabi is a Sri Lankan Muslim fundamentalist and fanatic angry that Putin crushed the Jihadi revolt in Chechnya. It is the west that is short of options and only introduces minor sanctions. Putin can pull out of the nuclear treaty, pull out of sanctions against Iran, cut off gas to Europe and leave the capitalist world that makes it vulnerable to future sanctions. It was a first “European Tribal” war on a much larger scale aimed at rebalancing the powers that controlled most of the resources and markets in Asia and Africa. It took another European whites led Tribal war before Colonial structures were dismantled. The old colonial set up still works for them. They still wield considerable powers to decide what we eat, when we eat, how much we eat, how much it cost, …….. when we go to ease yourself, how long we can sit there. Hindians and China now want to replace the old colonial powers with their own version of the same rotten governance, may be we will have our own second dark ages. MR, stupid Sinhala/Buddhists, stupid Tamil/Saivaite, still believe they could change the course of history. VP believed, tried and had a hot iron wedge inserted into his back passage and Wijeweera was burned alive. Putin aim is to bring in the Shanghai Cooperation Organization SCO into operation. 50% of India’s imports are from China same as Lanka. But to pay they both need to export to the EU. How would China work that out? For the Chinese its money/trade and its just lost the rare earth WTO case. Like Sudan but a bit complex they would end up like a doormat to pressure the west. Their very fist aircraft carrier (refurbished Ukranian) was simply exposed to a shocked American defence. Okay they have nuclear subs for south china sea a 5k kilometers of underground shelters. But they will never involved in a multilateral war. Business comes first and foremost – China runs like a cooperation for the 30 million Party folk who run and own that land. Goo`tas posturing and movements are in the lines of PLA to woe China closer but they are wiser.- 85% of Hambantota is still under Chinmese ownership therefore the long leasing of land at Trinco. See how they have run away from Libya along with EU/US. something big!! While in Afghanistan they are the only folk to have feet on the ground and change opium to saffron. Just Argentina signs new deal $11billion and Yuan payment then immediatly the US Judge rules against Argentina (payment with interest to hedge funds amounting to $15 billion)and its biting hard on a nation about to go bankcrupt once again. Argentina’s old chica knows how to do that Argentina salsa Obama and the french love that- puta madre negociante!! Drama is unfolding lets see Sept 09 is very exciting. The victors of the ‘1st. world war’ punished the whole of German population, burdening them with heavy indemnities which resulted in the rise of Adolf Hitler to power in a very short time. Not to mention he was democratically elected to power. Between the two wars there was absolutely no such thing as commemorating the vanquished. Instead the German people as a whole were subjected to untold humiliation.